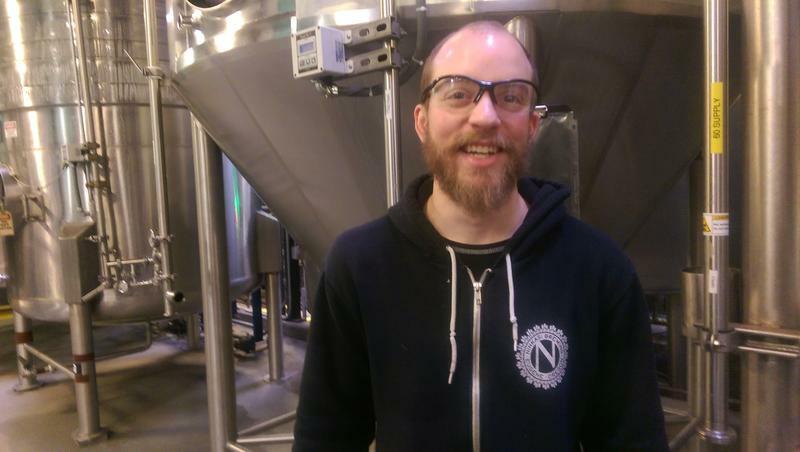 Rich Massella is a brewer at Ninkasi in Eugene. Nine local breweries participated in the collaboration brew for the KLCC brewfest. 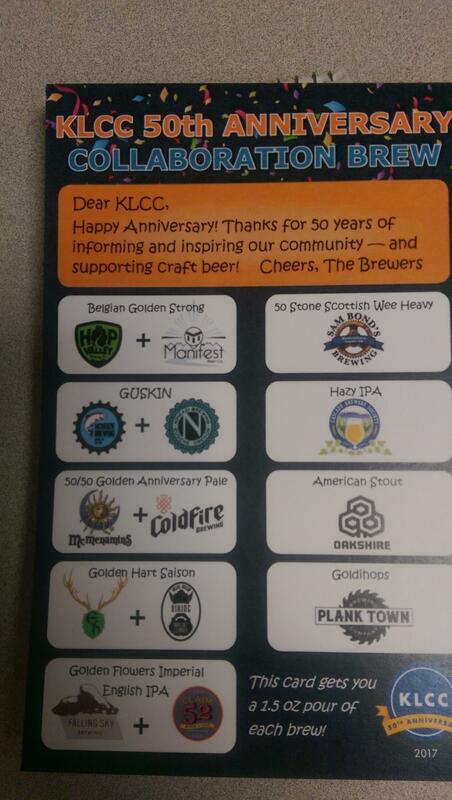 Festival goers can purchase this tasting card to sample all 9 collaboration beers. Jason Carriere’s official title is Superintendent of Suds at Falling Sky Brewing in Eugene. Falling Sky collaborated with Claim 52 to make an English IPA for the festival. Rich Massella is a brewer with Ninkasi in Eugene. They teamed up with Steelhead’s McKenzie Brewing Company to make a collaboration brew. They used ingredients that play off the theme of the number 50 and gold. Massella describes it as a pretty light-bodied beer. Massella says the name for the beer is Guskin, which means golden in the ancient Sumerian language. Ninkasi is the Sumerian goddess of beer– and namesake of the brewery. Massella says he likes participating in the collaboration brew because it’s a chance to connect with other people in his field. Massella says Ninkasi also plans to have their newest beer, Pacific Rain, on tap at the brewfest. Jason Carriere of Falling Sky says the Eugene craft brewing community is the only one he knows of that does a collaboration brew. 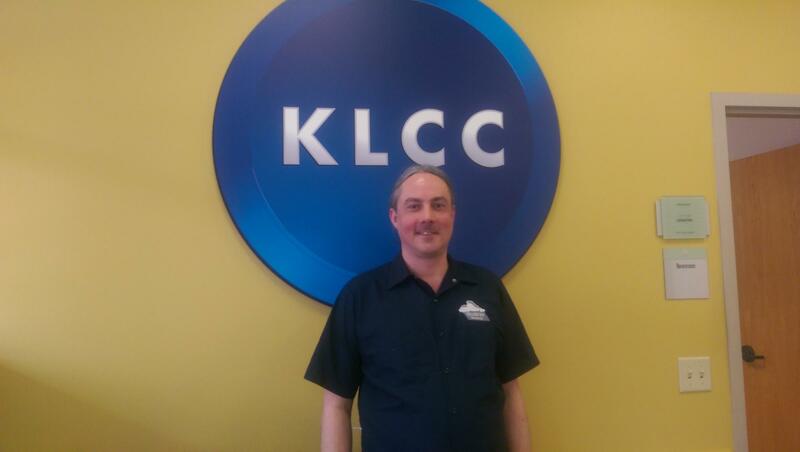 He says since they started doing it at the KLCC brewfest in 2002, the brewing community has grown a lot. 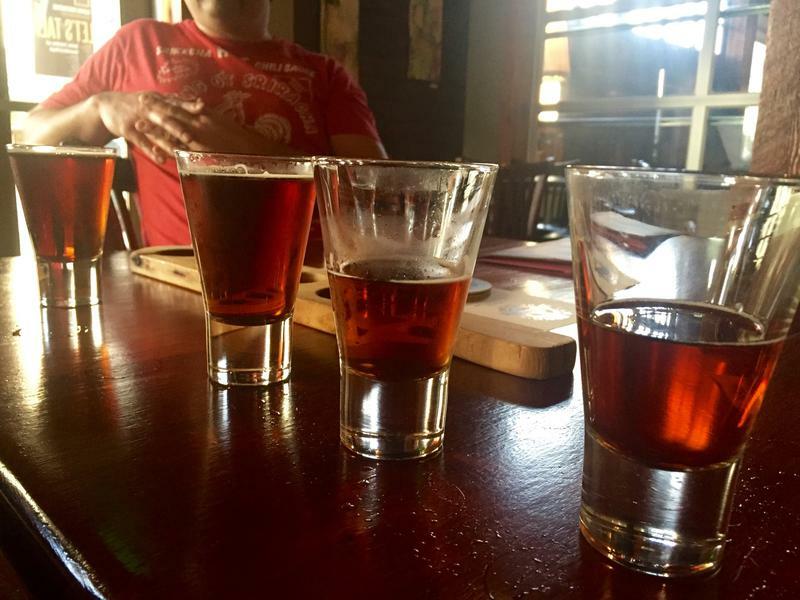 This year, there are 9 different collaboration brews with 14 local breweries participating. Falling Sky also coordinates the homebrew competition at the brewfest. Carriere says the winner will be announced Saturday night. All the Collaboration Brews will be together in one booth at the brewfest. 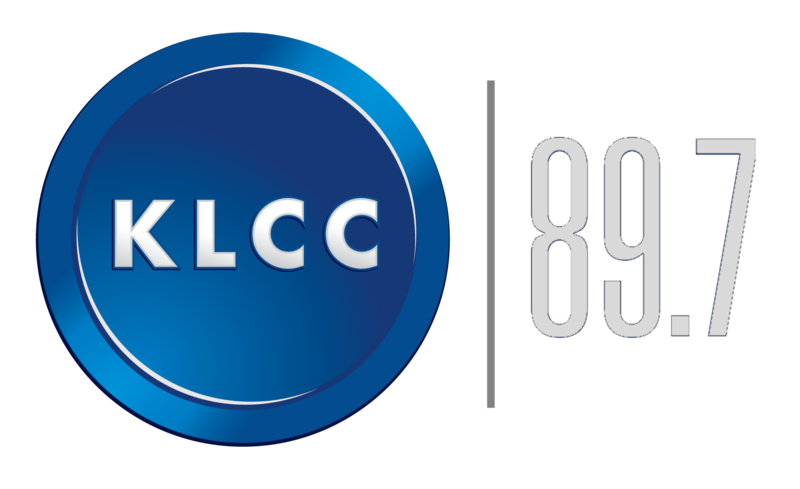 Ninkasi and Falling Sky are joining 83 other breweries from the northwest and beyond at the KLCC Microbrew Festival. A number of cities around the world have bike-share programs that require membership fees. 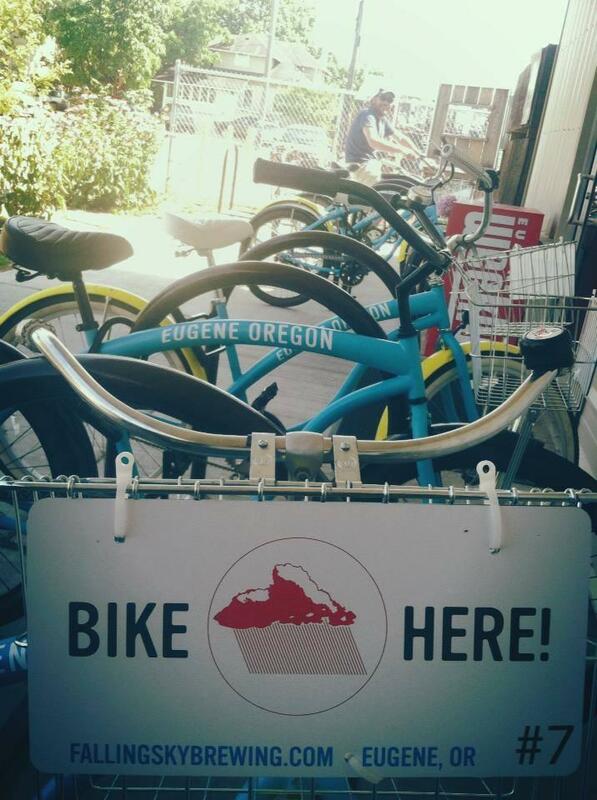 A brewery in Eugene is doing its own version of bike-share for free. Falling Sky Brewing bought 7 cruisers from the University of Oregon, painted them blue and had Arriving By Bike do tune-ups. Falling Sky plans to have bikes available to borrow at both its Deli and Pub. Co-owner Rob Cohen says customers and employees can take a bike for free for up to 24 hours.